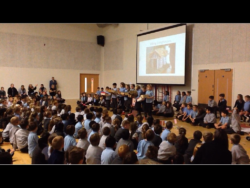 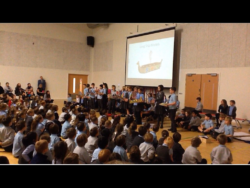 On Friday 2nd November the Primary 5 classes presented their learning about the Vikings to the whole school in assembly. 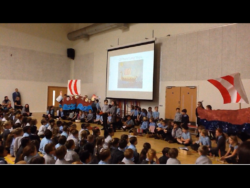 The children showed their art work, models, home learning and sang a fantastic song all about the Vikings to a well known tune from Les Miserable. 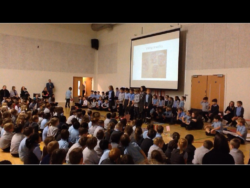 They were very professional and others commented on how well they were able to use the microphone and speak out in front of such a big audience. 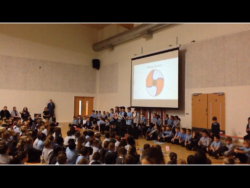 We are very proud of you Primary 5 – Well done!